In 2009, the EU published Global Technical Regulation (GTR) no. 9 on pedestrian protection, the implementation of which is being worked on by automotive manufacturers and suppliers around the world. Pedestrian protection is also assuming considerably greater importance in the redefinition of the Euro NCAP ratings, a non-manufacturer-specific crashtest programme. In order to continue receiving the sought-after 4-star or 5- star ratings for their vehicles, the manufacturers must make greater efforts to ensure pedestrian protection in future. The engine bonnet is a critical point for pedestrian protection. It should be designed in such a way that it absorbs as much energy as possible in the event of a collision with the body. This requires free space underneath the bonnet. In current motor vehicles, however, every last cubic centimetre of space in the engine compartment is filled. As a result, various manufacturers have developed quick-acting systems that raise the bonnet in the event of a collision, in some cases fitted with additional airbags, in order to achieve the prescribed values. The disadvantage of these systems is the high technical and economic expense resulting from the use of sensors, control systems and pyrotechnic triggers, as well as the increased maintenance requirements. Furthermore, these systems in turn require additional space in the front of the vehicle. This inevitably means that compromises have to be made in the design. A particular challenge here was the paintable class-A surface of the engine bonnet, required for exterior parts. 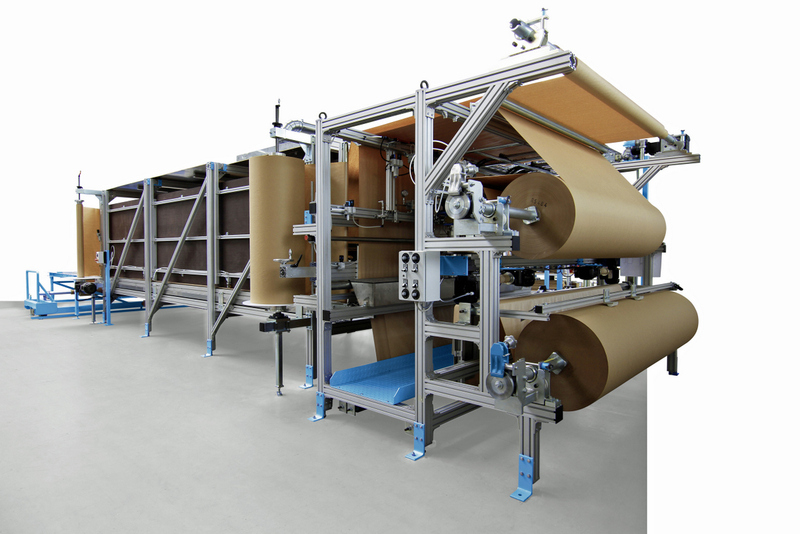 Rühl Puromer GmbH from Friedrichsdorf is one of the world’s leading companies for the development and production of PUR systems and GRP special products. In addition to the puropreg® system for manufacturing honeycomb sandwich support structures, adapted specially for the application, these specialists have also developed a purorim® system based on PUR that uses the Reaction Injection Moulding (RIM) process to ensure the required surface quality and hence successfully solve the task. When selecting the appropriate mixing and metering systems for PUR processing, the decision was made in favour of Hennecke and its PUR CSM processing systems. 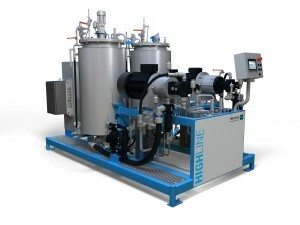 Hennecke is the undisputed market leader for large-scale production systems for manufacturing lightweight PREG composites. After the development period, series production of the bonnet is now imminent. In principle, the sandwich structure of the bonnet resembles the design of a PREG load floor for luggage compartment systems. 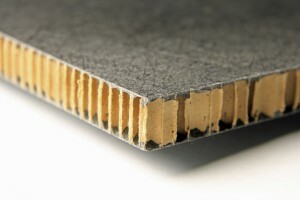 A honeycomb core is used for the production of the bonnet, with glass fibre reinforcement applied from above and below. In order to achieve the different compression hardnesses and stability required in the bonnet, e.g. for hinges, the honeycomb core is designed as a reinforced structure at the relevant points. Afterwards, the PUR matrix is applied using the PUR-CSM spraying process. In this patented spray-up approach, the semi-finished fibre products are wetted on both sides with a thermally activated PUR system. This makes it possible to apply a thicker layer of material in specific, targeted areas of the component. The part is then compressed and cured inside the mould. In the next stage, the RIM process is used on the outside and around the outer edge of the bonnet to produce the paintable class-A surface. The polyurethane spray coat creates an optimal and durable connection between the glass fibre and the honeycomb core. This ensures extremely high stability and torsional rigidity. The thickness and structure of the honeycomb core allows the crash performance of the bonnet to be adjusted in a defined manner. If the bonnet is designed in such a way that it extends down to the radiator grille at the front, this area then also corresponds to the regulations for pedestrian protection, and allows the designers almost total freedom to design the front section of a vehicle. The structural design also includes other positive effects. In addition to the substantially lower weight, the bonnet has excellent insulating properties thanks to its honeycomb core. For example, it requires no noise-absorbent mat, which is almost inevitable in conventional bonnets. 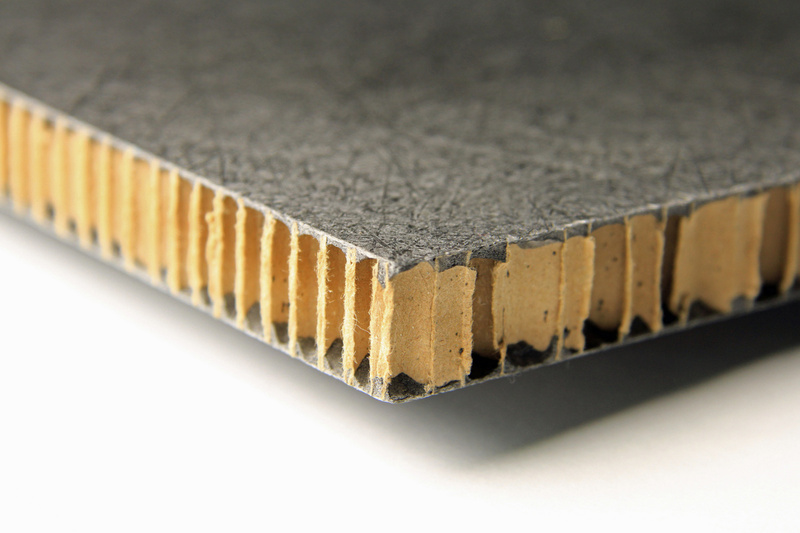 But it not only exhibits excellent insulating properties in terms of noise, it also provides thermal insulation. This generates advantages when it comes to CO2 emissions, because the motor cools down significantly more slowly, and under ideal circumstances cold starts can me avoided more often. 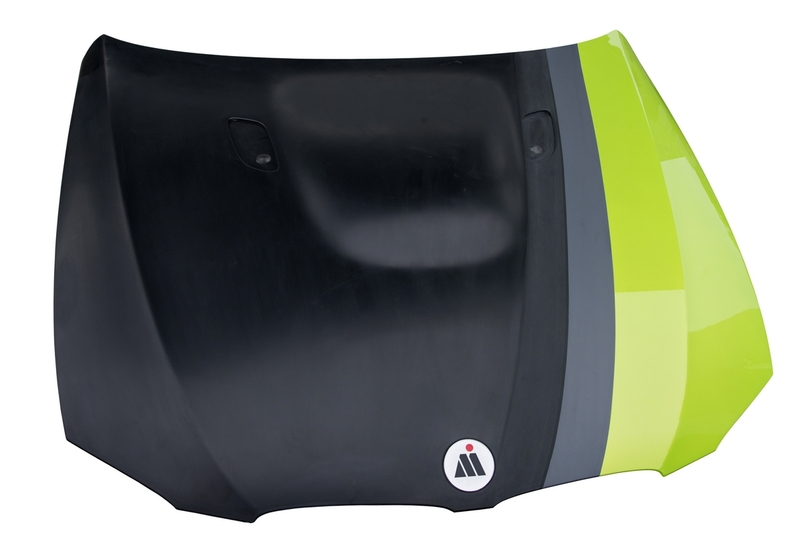 The engine bonnet has passed all of the comprehensive approval tests for use in the automotive industry – and naturally also the new requirements for pedestrian protection. This new design will be extended to many other exterior parts in future, such as tailgates, doors and roofs – a further important step on the road to a complete lightweight car body.